Does your Oil Boiler need servicing? Normally your manufacturer will state that your boiler needs servicing at least once per year by a qualified person. 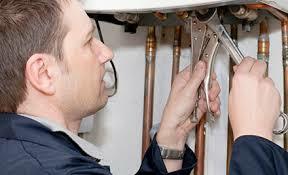 Emergency Plumbers Dublin only use fully qualified Oil Boiler servicing engineers. Our engineers have vast experience with all makes and models of oil boilers. Some have been servicing oil boilers in Dublin for more than 30 years. This means you will always be in safe hands. At Emergency Plumbers Dublin we provide a full range of plumbing services. We have been established for many years now and having experts with unrivaled in the private and commercial oil Boiler service industry. We are fully insured with public and professional indemnity insurance, honest, reliable and 100% focused on friendly service to our clientele. If you need your Oil Boiler servicing, just call us for a free no obligation quote. We make sure we only employ the finest plumbers in Dublin to service oil boilers. All of our team are fully qualified and R.G.I. registered. They have all had there had the references thoroughly checked and are up to date with the current health and safety legislation. We provide an excellent Oil boiler service with extremely competitive pricing. We do not charge for call outs. We pride ourselves on our customer service and our transparency. We have no hidden fees or charges. We do not charge traveling time or parking fees. Our vans are always fully stocked so as there is never a need to be “sourcing parts”. If you require your Oil Boiler serviced, just give one our experts a call on 01-6874850. We would be delighted to offer you any help or advice you may require.